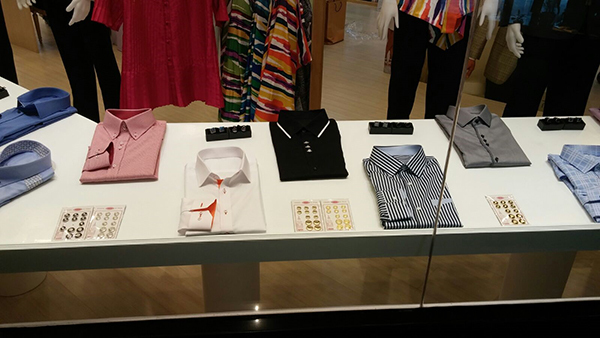 Lee Fashion is the newest tailor shop in Amari Watergate Hotel level 3. Despite being just opened in June 2015, it has already gotten quite a lot of regular customers from around the world e.g. Norway, Switzerland and also Singapore. 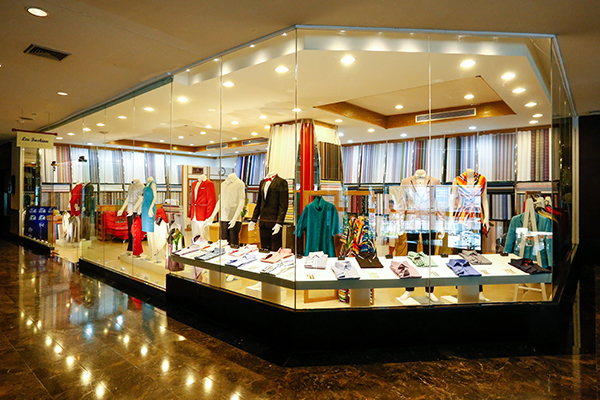 According to Lee Fashion Tailor, they are the biggest tailor store in Amari Watergate Hotel (there are 3-4 other tailors there) with the widest selection of mid to top range fabrics. 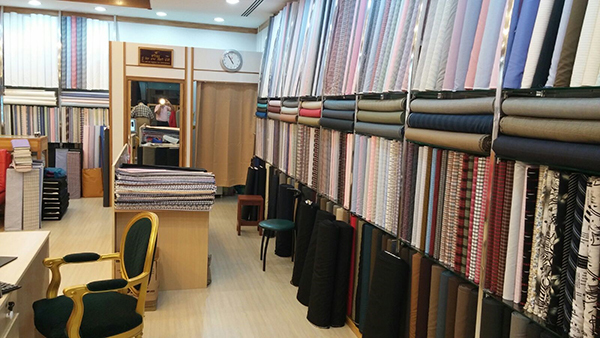 One key thing that makes Lee Fashion Tailor different is their “generous” layout of good looking sample shirts – most tailor shops will just provide you with a book of models wearing shirts and suits and then direct you to the rows of fabric in the shop to make your decision. With these sample shirts, it saves me a lot of time in deciding how to do my shirts – I can just pick one of the good looking ones and tell Lee Fashion Tailor staff to duplicate it or I can highlight special features that I may find hard to explain e.g. 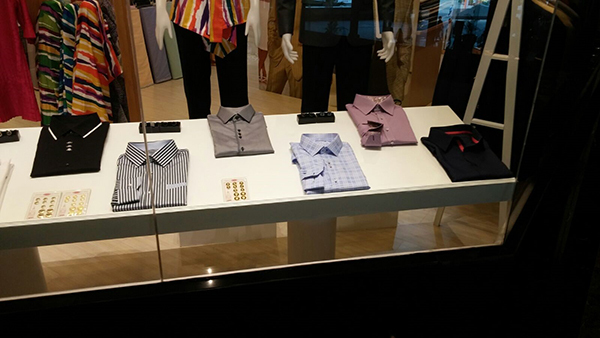 double collar, French cuffs, different color cuffs and collars. 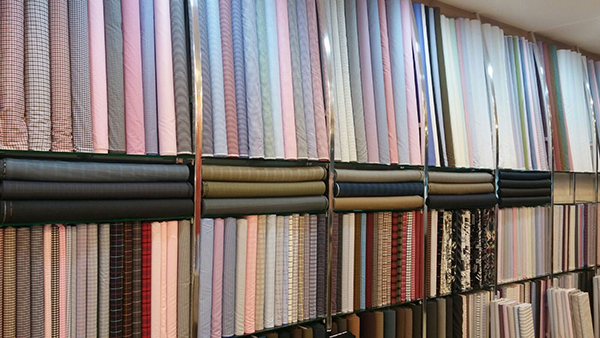 The selection of fabric is just awesome – being a very big shop (by tailor shop standards), there is a lot of different fabric to choose from – rolls and rolls of them as seen in the pictures below. 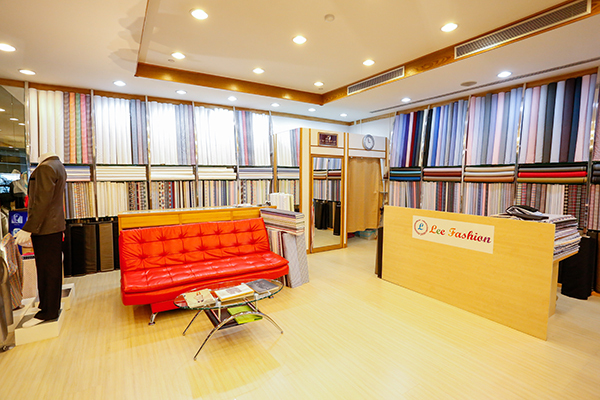 Besides the friendly and patient staff, what I really like about the service in Lee Fashion Tailor is the provision of the comfortable red sofa – perfect for your friends to rest while you take your time to choose your preferred designs and fabric. Free Wi-Fi, coffee and tea is also provided in store. 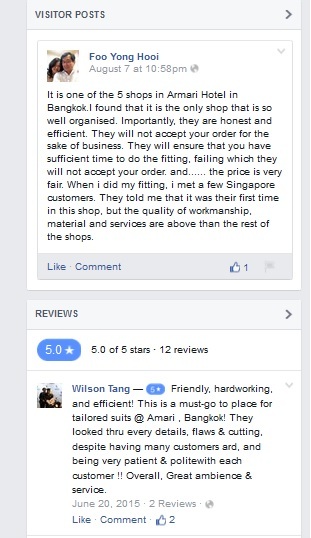 Price-wise, I noticed that it is comparable with other tailor shops in Amari Watergate – in fact, Lee Fashion Tailor uses the same special package pricing for Singaporeans as that for Alex’s Fashion (another tailor on the same floor as Lee Fashion). You can download the Alex’s Fashion price list document for reference -> Alex’s Fashion Bangkok Tailor Price List (updated as of 10 Jan 2015). 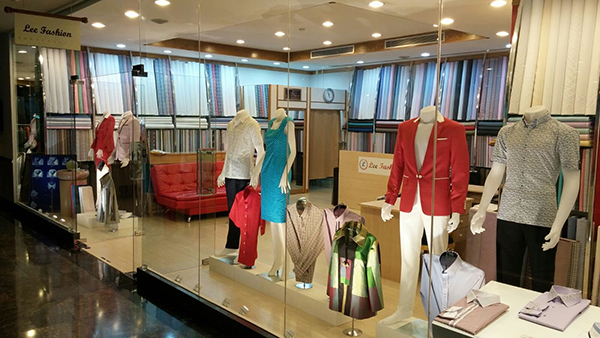 Considering the wide selection of mid to high range fabric, I think it is a bargain to tailor at Lee Fashion Tailor – check in-store to decide for yourself. Lee Fashion Tailor is open daily and close only twice a year: New Year Holidays from 29th December till 2nd January and Water Festival from 11th April till 16th April. Please also note that the tailors in their factory don’t work from 28th December till 4th January every year and Water Festival from 9th April till 18th April. Though Lee Fashion Tailor is open on some of those days, there might be more waiting time for the clothes to be tailored. Lee Fashion Tailor offers courier service to your hotel but they recommend self collection so that clients can try on and make sure everything is ok.
May I know how much it is for suit, and how much for shirt? And also, may I know how long it will take?